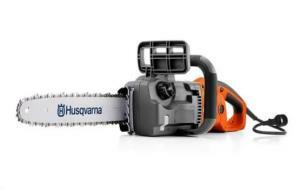 The 14" electric chainsaw is suited for light to medium duty tree and limb removal and breakdown. The saw features a large oil reservoir, which lubricates the chain to prevent warping, large trigger switch, safety chain brake, and tool-less blade and chain adjustments for easy operation. * Please call us for any questions on our chain saw electric rentals in Hillsdale and Ridgewood NJ.